Over 70 Years Of Studies Show Vitamin B2 Helps Control Migraine: Why Are Patients Still Being Kept In The Dark? 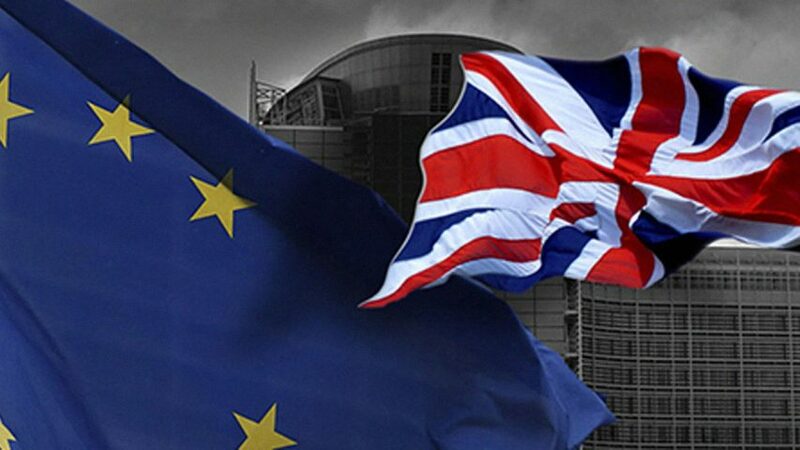 Councillor Robert Oulds M.A., FRSA, is the longstanding Director of the Bruges Group, a respected British think tank which since 1989 has been at the forefront of the debate about the UK’s relationship with the European Union (EU) and the wider world. In this interview, he talks to Paul Anthony Taylor about the UK’s recent decision to leave the EU and looks ahead at what the post-Brexit world will look like. PAUL: What is your background, and how did you come to get involved in the Bruges Group and the campaign for Britain to leave the EU? ROBERT: My initial involvement in the Bruges Group came many years ago while I was doing my master’s degree in communications management. One of the key aspects of the course was that we had to work with real organizations and produce research and projects that were not just academically sound but which would also be of use in the public and private sectors. At that time, I was actually focused on becoming a sports journalist. However, the more I got into the master’s course the more I realized that politics was more important to me and that there were big issues, particularly the problems with the EU, that needed to be tackled. So I did a number of pieces of research that aided the communications of various political organizations, such as the Conservative Party in the UK, on subjects such as young people and voting, and how to get young people more involved in politics. My master’s dissertation was focused on matters to do with the EU. I therefore contacted the Bruges Group and explained I needed to do a piece of work to get my master’s degree and that I wanted to do something that could aid them and their communications. This eventually led to my becoming the Campaign Director of the Group in 2001, and later its Director which is the post I hold now. I’ve been very much involved in politics ever since. PAUL: During the Brexit referendum campaign, politician Boris Johnson stated that the EU is pursuing a similar goal to Hitler in trying to create a powerful superstate. Warning that while bureaucrats in Brussels are using “different methods” from the Nazi dictator, he said they share the aim of unifying Europe under one “authority”. Given the historical correctness of this statement, were you surprised at the controversy it caused? ROBERT: Well, on the one hand, I’m never surprised at anything Boris says! But while the EU is a very different organization to the Third Reich, there have been many trends within politics on the continent of Europe whereby certain ideologies have always been in favour of centralizing power. This goes back centuries and many people have adopted this idea to serve their own political ends. Historically it has always been a fundamental aspect of British foreign policy to ensure that the continent of Europe was never dominated by any single political power. This can be seen in Britain’s policy at the time of Queen Elizabeth I, its policy during the Napoleonic Wars, as well as its defence of Europe against German Emperor Wilhelm II during WWI and Hitler’s Third Reich during WWII. 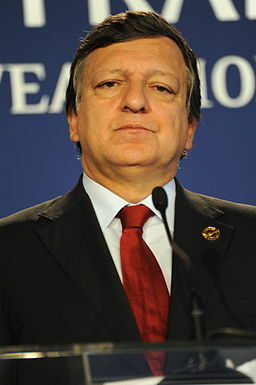 Jose Manuel Barroso, a former President of the European Commission, famously likened the EU to an empire. One of the key aspects of centralizing power in Europe is that it is antidemocratic. Ultimately, what successfully overcame Hitler and Nazism was the belief in the idea of the liberal nation state. The EU and its belief in big government are the antithesis of this. Jose Manuel Barroso, a former President of the European Commission, famously likened the EU to an empire, commenting that previously people had tried to unite Europe by force but that now it had been done through peaceful means. Ultimately however, the end objective is the same. The EU wants to achieve control over the nation states and control democracy. The EU is about supranational government, it’s about having a system of governance that is above the nation state and, rather than celebrating our diversity and learning from each other, harmonizing or standardizing rules and regulations across borders. 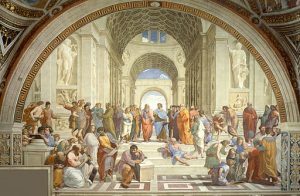 But to take an example, the success of Ancient Greece did not come from everything being standardized, it was actually a very diverse country with different city states. This created a great flowering of thought and knowledge. But the EU has thrown this idea out and replaced it with a corporatist model that is essentially the last gasp of an older world where corporations seek to control government. We don’t need our lives to be governed by people sitting in some ivory tower in Brussels who aren’t democratically accountable to us. PAUL: Sections of the British media have come in for a lot of criticism just recently because of the clear pro-EU bias they have shown in covering Brexit. The BBC especially comes to mind here. Some people even go as far as to say that the BBC is part of the so-called “fake news” media. What are your thoughts on this? ROBERT: Well, the BBC has been partly funded by the European Investment Bank, an EU institution, so it actually has a direct financial link to the EU. The rest of its money comes from television license fees, which everyone who owns a television in Britain has to pay, so its output doesn’t have to reflect what the British public wants. Since the 1970s, the BBC has always been biased in favour of the EU. There is a certain arrogance at the BBC that it knows best. It likes to think of itself as being part of an intelligentsia that knows better than ordinary people. The EU is the perfect political representation of this ideology. An independent analysis examined the BBC’s output during the Brexit referendum and clearly showed that it didn’t give a proper balance to the arguments in favour of leaving the EU. And then, after the referendum, when Britain had chosen to become an independent nation, most other national media would have celebrated the result. In almost any other country in the world, it would have been one of the jobs of the media to put the national interest first. But instead, the BBC and other sections of the media have simply been creating scare stories and trying to talk down the British economy. Despite this, after the Brexit vote the British economy actually grew faster than it had beforehand and unemployment has fallen to its lowest level since 1975. PAUL: Do you think other European countries will follow Britain’s example and leave the EU? If so, which ones are likely to be first? ROBERT: There is no doubt that once Britain makes a success of Brexit other countries will also leave the EU. To paraphrase former British Prime Minister William Pitt the Younger, I think Britain will save itself through its exertions and save Europe through its example. So in a sense Brexit is nothing new, it is simply Britain fulfilling its traditional role and embracing the modern world. As to which countries will be first to follow us, we’ll have to see. In Scandinavian countries, there are many people who want to leave the EU. The Bruges Group cooperates very closely with Danish eurosceptics, for example, and there is also opposition to the EU in Sweden. As a result of the euro currency crisis there is also Italy, a diverse country with a great history of being inventive but which has become economically dominated by Germany. Italy is suffering greatly as a result of being in the EU, and particularly through using the euro currency. Its banks are now insolvent and are being supported by the European Central Bank against the EU’s own rules. Meanwhile, the EU is creating money and throwing trillions of euros out there to try and keep a financial system alive that is already bust. It has effectively cut interest rates to the point that they are now negative rates. This is all phantom economics and is kicking the can further down the road and making the financial crash, when it finally does come, even worse. Many German banks are also bust and being kept alive by Germany and the EU. Meantime they are loaning money to Greece, which then has to make repayments to German banks at a time when the Greek government is not even able to afford to feed its own people. 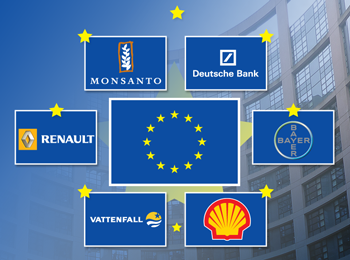 The EU has become a racket for large corporations. You just have to look at the evidence to see who benefits most from this. When you have a body that can make the rules for 500 million people, you are giving away too much power and making it too easy for those who want to game the system in their own favour. PAUL: The pro-EU side continues to make gloom and doom predictions about the supposedly dire economic prospects that Britain will suffer from as a result of Brexit. Are you convinced that the country can have a bright future outside of the EU? ROBERT: Absolutely! Britain will still have access to the EU market as there are a whole host of international agreements, such as those of the World Trade Organization (WTO), that specifically allow other countries around the world to have access to it. 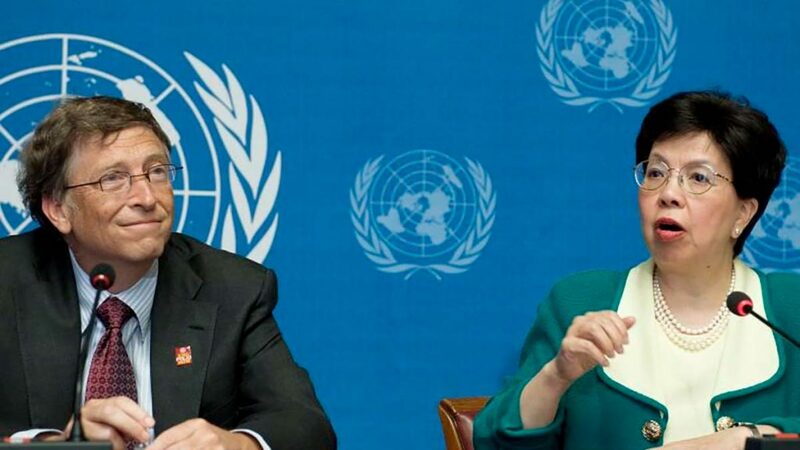 The United States and China both successfully sell their products in Europe, for example, and neither of them are members of the EU. In addition, London is the world’s leading financial centre and there are actually more German banks based there than there are in Frankfurt. Britain is already compliant with the EU’s financial rules so we will undoubtedly continue to trade with it after Brexit, as well as with the rest of the world. PAUL: Throughout the world, millions of people are waking up to the reality that the supposed benefits of globalization have not materialized. Instead, the biggest beneficiaries seem to be special interest groups and lobbyists who have direct access to regulators and are therefore able to shape pan-national and international law according to their preferences. In the post-Brexit world, what prospects do you think we have of changing this undemocratic situation? ROBERT: I think Brexit will come to be seen as one of the first things that sweep aside what is really a false globalization, which has simply been about elites gaining more power and setting the rules according to how they want them to be. Brexit, on the other hand, is about Britain operating and trading in a global world, making its own agreements on terms that are decided by our own government and whoever we are negotiating with. Countries are already lining up to have trade agreements with us. Britain wants to cooperate with bodies of the WTO, and we want to have our own voice on these bodies. We don’t want to have a European Commissioner representing us. Instead, we will take our seat back at the WTO and participate in setting the rules and forming alliances as we see fit. The EU model, where we have the European Commission manipulating and managing things, is anathema to most people in the UK. Britain will now be re-joining the rest of the world, but not in a form of globalization where large institutions are manipulating the rules in their own favour. Instead it will be one where we are able to reach out and cooperate with other countries in ways that modern digital technology will now allow us. And this is just the start of the process. It is going to be a very exciting world that we are moving into, one where real globalization will consist of people coordinating, cooperating and communicating worldwide through technology. It will not be something that is managed according to massively complex procedures set by people living in an ivory tower. Instead, it will be done by us. And this is what Britain, through Brexit, is embracing. Ultimately, I believe Brexit will sweep aside the version of corporatism that masquerades as globalization but is really just a racket benefitting a few people’s interests. This is a key reason why I think other countries will also leave the EU and that together we will have a far more democratic future and be far more prosperous as well. Executive Director of the Dr. Rath Health Foundation and one of the coauthors of our explosive book, “The Nazi Roots of the ‘Brussels EU'”, Paul is also our expert on the Codex Alimentarius Commission and has had eye-witness experience, as an official observer delegate, at its meetings. Prior to joining the Foundation, Paul's background was in the music industry, where he worked as a keyboard player and programmer with artists including Paul McCartney, Bryan Ferry, Bill Withers, the Verve, Texas, and Primal Scream. He first became interested in natural health after falling ill with a chronic fatigue syndrome-related disorder in 1991 and subsequently making a full recovery through the use of natural health therapies. After meeting Dr. Rath and Dr. Niedzwiecki at an anti-Codex rally in Berlin in 2002, Paul was inspired to make a life-changing decision to leave the music industry to work for the Foundation and help defend the right of patients worldwide to have free access to natural health approaches. Der Executive Director der Dr. Rath Health Foundation ist einer der Koautoren des explosiven Buchs „Die Nazi-Wurzeln der Brüsseler EU“. Paul ist auch unser Experte zum Thema „Codex Alimentarius-Kommission“ und hat Augenzeugenerfahrung als offizieller beobachtender Teilnehmer bei diesen Treffen. Bevor er seine Arbeit bei der Stiftung antrat war Paul in der Musikindustrie aktiv. Er arbeitete als Keyboard-Spieler und Programmierer mit Künstlern wie Paul McCartney, Bryan Ferry, Bill Withers, the Verve, Texas und Primal Scream. Sein Interesse an natürlicher Gesundheit wuchs, als er 1991 an Störungen erkrankte, die aus einem chronischen Erschöpfungssyndrom resultierten. Durch natürliche Gesundheitstherapien wurde er schließlich vollständig geheilt. Ein Treffen 2002 mit Dr. Rath und Dr. Niedzwiecki bei einer Anti-Codex-Demonstration in Berlin inspirierte ihn zu einer lebensverändernden Entscheidung und er verließ die Musikindustrie um für die Stiftung zu arbeiten und das Recht der Patienten zu verteidigen, weltweit freien Zugang zu natürlichen Gesundheitsverfahren zu haben. Auf Twitter ist Paul unter @paulanthtaylor zu finden. The Health Organization Founded by Dr. Rath is Unique in the World: All the Profits it Makes Go to a Non-profit Foundation.